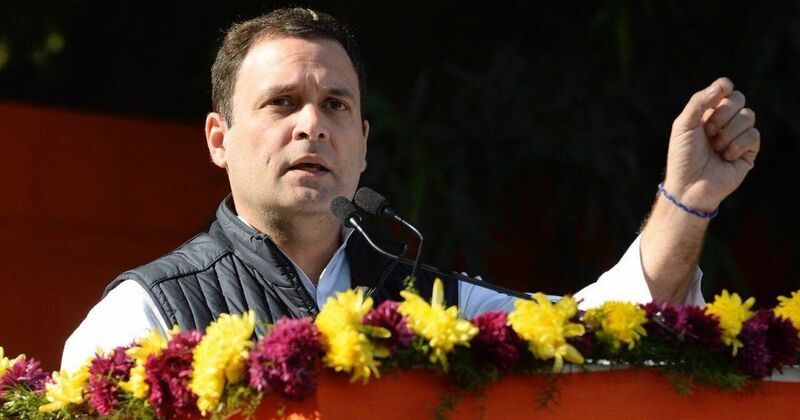 New Delhi, Dec 18: Congress President Rahul Gandhi has said that his plan is to transform the Congress from bottom upwards and he will like to bring in many new, young, exciting and dynamic faces. In his first interview as party president with National Herald and Qaumi Awaz, Gandhi rubbished BJP's claims that his party fought the recently held Gujarat state elections of casteist lines and said that the party brought the OBC, Dalit and the Patidar communities together on a Congress platform. "But it is not just my plan, it is the desire within the Congress party to transform, evolve and change itself, and I would try and help to enable that," he said. Gandhi said he will bring further democratise the Congress. "Just imagine those names. Compare a Manmohan Singh Ji with Mr. Modi. Compare a Chidambaram to Mr. Arun Jaitley. Tell [me], who can you compare Pranabda with in their government. Tell me, who can be compared with Mr. Antony in their government. So, when you actually look at them, from a policy perspective, it's not much weight there. You can see it, when you listen to them. I mean, what is being done to India's foreign policy is an out and out disaster," he said.